Protecting business information is critical to your company’s success. To thoroughly safeguard your entire IT environment, you need not just identity and access management capabilities, but also control over how information is used. We can give you the control you need over your physical, virtual and cloud IT environments—so you can protect your business and the information on which it relies. With Identity Access Management solution, you can proactively manage not only users and their access to information, but also their use of information. You can set and enforce access and use policies based on data content and the user profile. These capabilities extend traditional identity and access management to include control of information after access, enabling you to more effectively protect your critical corporate and customer information. All of our IT security solutions are designed to help increase your business agility. So you can securely grow your business, minimize risk, improve regulatory compliance and ultimately out-innovate the competition. Secure access - Combine rigorous identification and enforcement with automated user on boarding for consistent access, control, and compliance. Greater worker productivity - Get consistent and dependable access to services from anywhere and anytime. Email security is a priority for all businesses, with the growing threat of hackers, viruses spam, phishing and identity theft, as well as the need to secure business information. The Inbound and outbound email protection is critical for your business. As more and more information is available on the web, securing that data becomes increasingly important to protect users, preventing your company from having a crisis due to a web security breach. Managing user identities and their rights to access resources throughout the identity life cycle is critical for effective identity and access management, in both our physical and logical worlds. 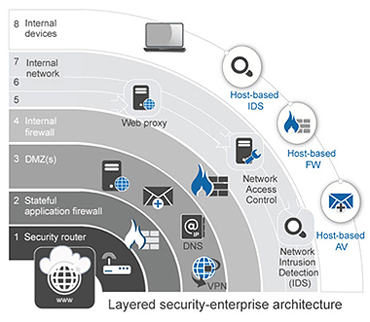 Access authorization provides timely access throughout the user's life cycle, across multiple environments and security domains, while enforcing security policies and protecting against external threats.